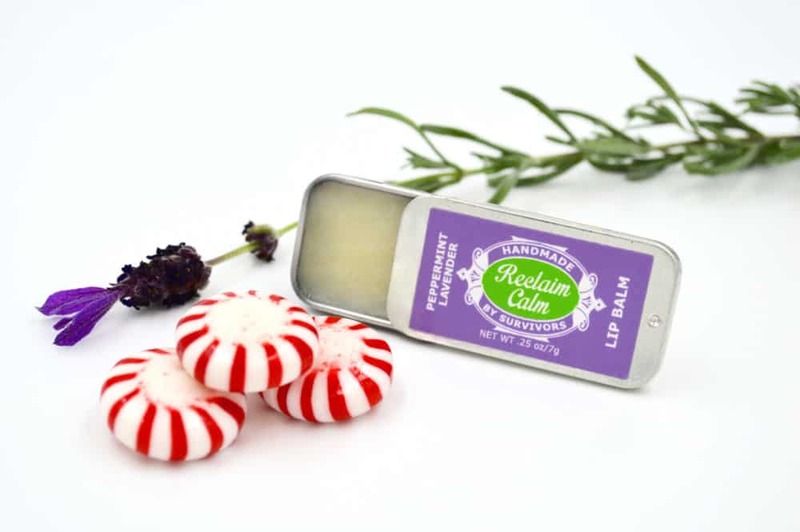 Reclaim Calm is a lavender and peppermint lip balm packaged in a fashionable slide top tin that snap-locks when closed. Handmade by Survivors with natural ingredients that soften and nourish. 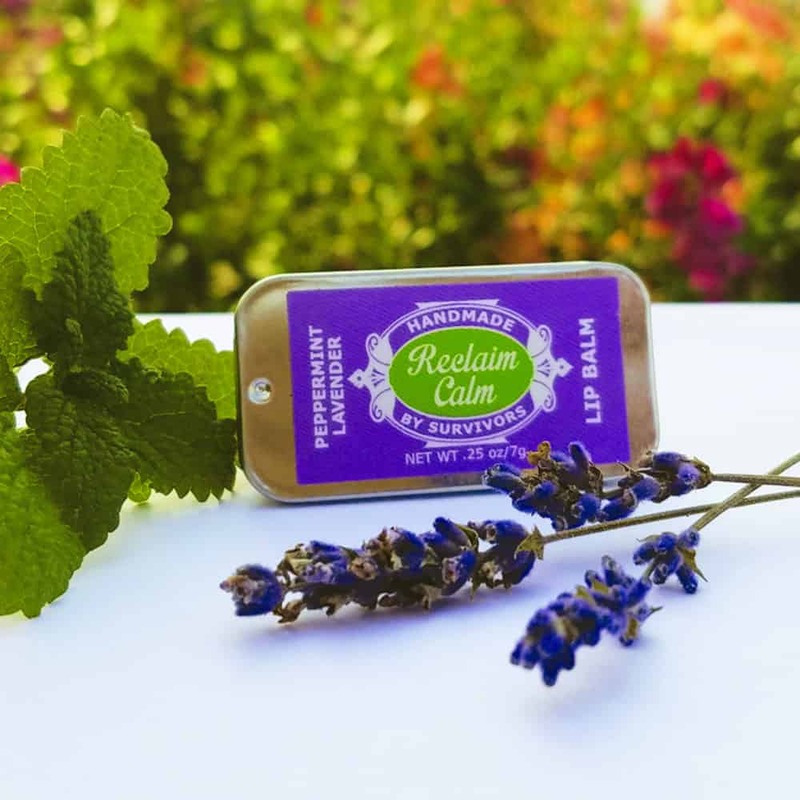 Aromatic lavender calms while peppermint rejuvenates your senses. Each lip balm weighs .25 oz and is safety-sealed. Choose from single tins or discounted multipacks. 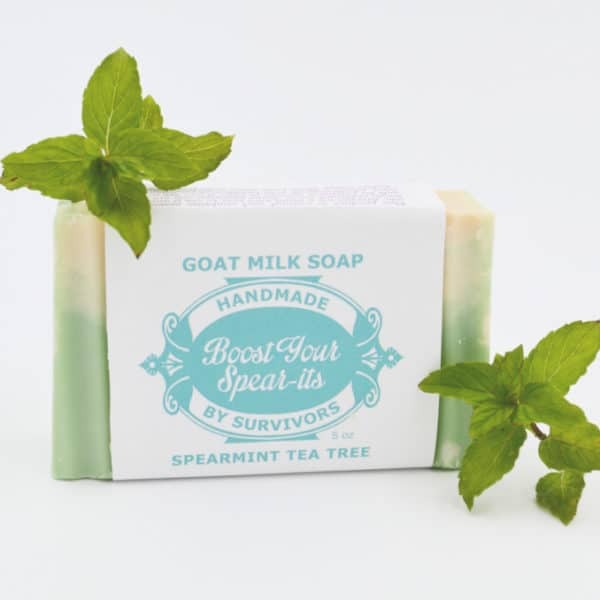 Boost Your Spear-its blends goats milk, spearmint, and tea tree oil for a moisturizing clean with a happy fragrance. 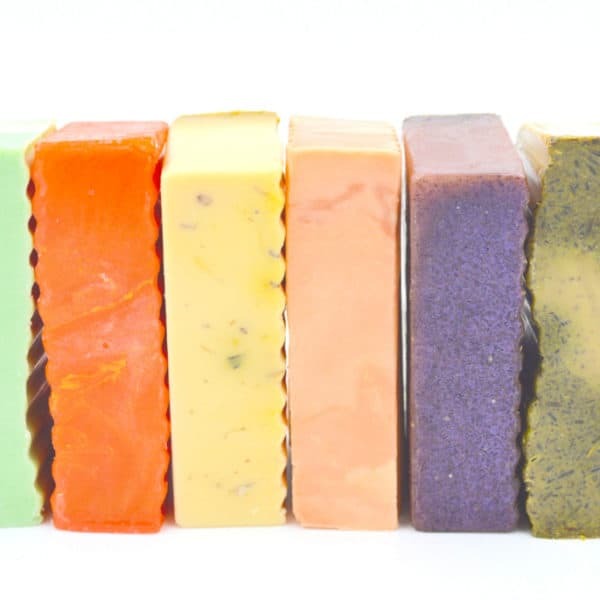 Handmade By Survivors using natural ingredients that soften and nourish your skin: coconut oil, palm oil, safflower oil, goats milk, essential oil of spearmint, vanilla, and tea tree. Each bar is shrink-wrapped and weighs approximately 5 oz. Your purchase nurtures lives harmed by intimate partner abuse. A trio our new untinted lip balms featuring essential oil blends. 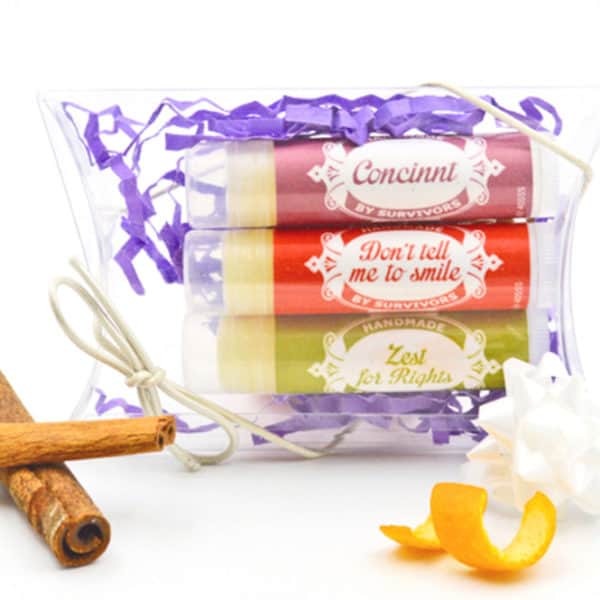 Includes one tube of Don’t tell me to smile (rose orange), Concinnt (cinnamon vanilla), and Zest for Rights (citrus basil). Packaged in a cute pillow box and finished with a silver bow. Makes perfect stocking stuffers and gifts for friends! Ships free with orders that total $10+. Each tube weighs .15 ounces and is safety sealed. Your purchase nurtures lives harmed by intimate partner abuse. 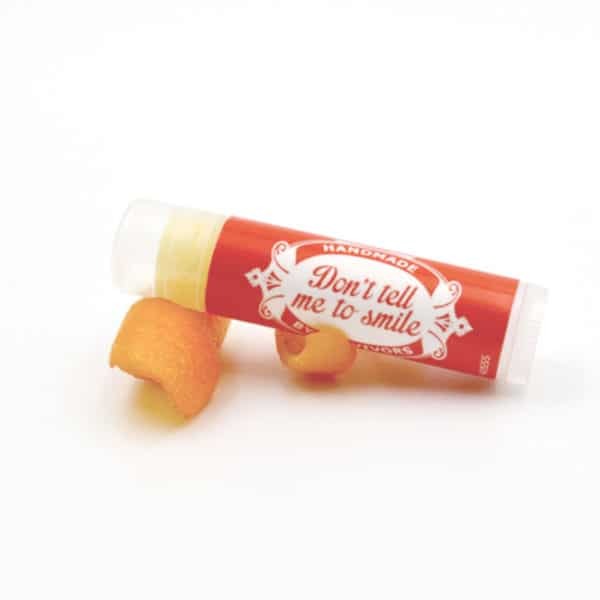 Don’t tell me to smile is an untinted lip balm featuring essential oils of rose and orange. 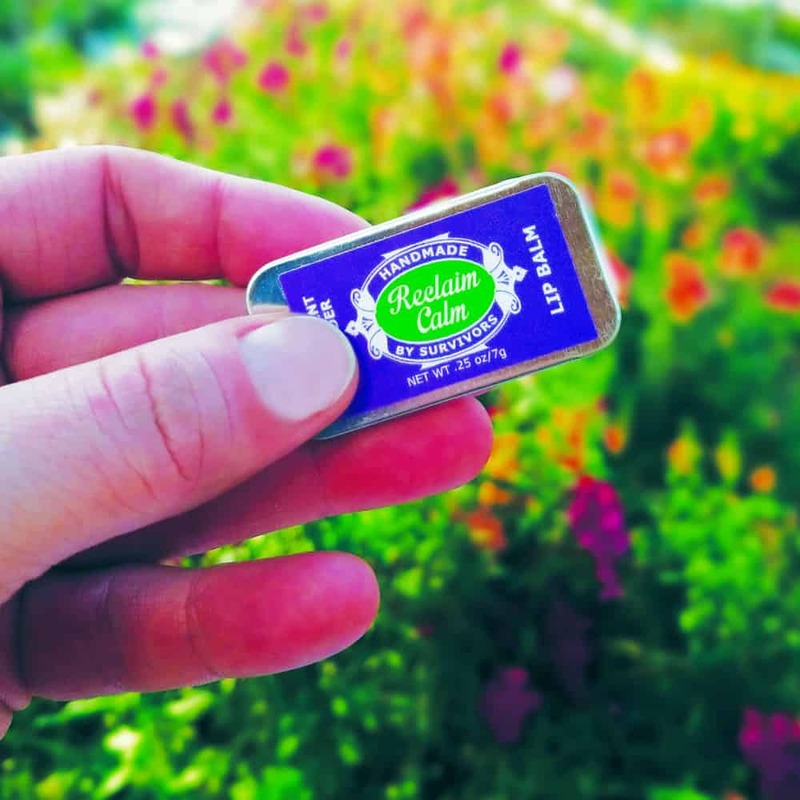 Handmade by Survivors with natural ingredients to soften and nourish dry lips: coconut oil, beeswax, and cocoa butter. Each lip balm weighs .15 oz and is safety-sealed. Choose from single tube or discounted multipacks. Add one to your order – single tube ships free when you purchase $10+.